Enlarge the boundaries of your business. Enhance your site reputation by our SEO strategies. Improve your Google ranking with the experienced service provider. Search engine optimization generally in short also known as SEO has become a powerful tool to show up your website on the online search engine and improve the ranking of the page. With the help of strategies involved in SEO methods, the website can be easily ensured that it will get top ranking on Google. This will also result in higher traffic at the website. SEO Audit: Transess Technologies being the leading consultant in India to a thorough audit of the website so that to identify flaws that are preventing from ranking. Keyword Research: researching for powerful keywords is a very important task as it leads to driving the traffic to the website. 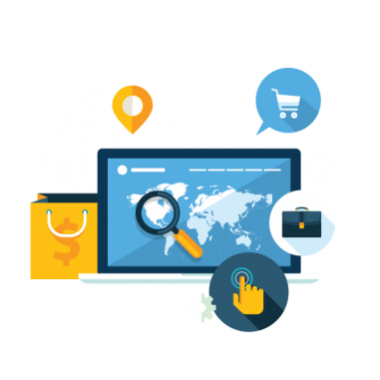 Our SEO professionals are very experienced and well talented to identify the best keywords and thus driving in the traffic. Competitor’s Analysis: It’s very useful as to cut through the clutter and place your brand at the top. A comprehensive analysis of your competitors is a key that gives you a clear picture of where you stand and what you should do to improve your position. On page SEO: on page activities place very crucial aspect of our inclusive SEO operations. Doing optimization at the various strategic levels and to ensure that it conveys the right message to search engines and also to the audience. Off-page SEO: our off page activity includes video sharing, Article submission, press release promotion, document sharing, blogging, directory submission etc. Link Building: we make high-quality back links to strengthen your website. Result monitoring implementation is not where the job ends for us the result should be constantly monitored to get the desired results. We provide content that is specific to the keyword for the purpose of content development on the website.